Can acupressure help with stomach aches and the like? Acupressure is a healing technique that focuses on stabilizing the internal energies of the body that flow through the acupuncture meridians. Since the free and abundant flow of these energies promotes all manner of healing throughout the body, it is safe to say that acupressure can be used to treat many health issues - including stomach aches, indigestion, and heartburn. Stomach aches and similar conditions may be caused by many things. It could be caused by what you ate for lunch. It could be caused by some kind of long term food allergy. Or it could be caused by a buildup of stress in the body that manifests as heartburn and other pains. When you talk about a condition as vague as just pain in the stomach or digestive system, there can be many causes to your discomfort. Thus, it's hard to say just how effective acupressure will be at treating your condition. Acupressure and energy healing techniques tend to be more effective at healing long term emotional contributors to diseases and aches and pains, such as a buildup of stress, rather than a short term cause of heartburn like eating something that's too spicy for your body to handle. With that in mind, you may find more or less relief with acupressure depending on the exact cause of your pain. Pain that is the result of a buildup of a long term problem that involves chronic emotional, mental, or "spiritual" contributors is more likely to be treated successfully by acupressure than pain that is the result of a one-time event, such as eating a meal that contains expired ingredients. 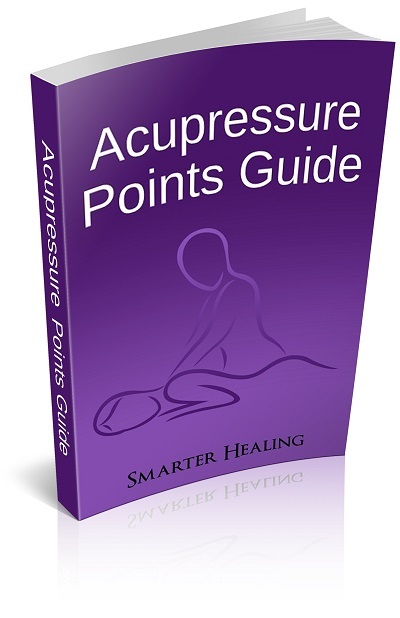 Regardless of the cause of your stomach ache, your indigestion, your heartburn, or similar pains, acupressure is free and easy to use after you learn the correct acupressure points to address your problem. Thus, I recommend that you try it yourself and see if the acupressure points below provide relief for your pain and discomfort. 1. Conception Vessel 12, on the front of the torso, halfway between the bottom of the breastbone and the belly button. This acupressure point for stomach issues will help relieve stomach pain of all types. It will help relieve abdominal spasms that may be caused by or causing your stomach pains. This pressure point also helps indigestion, heartburn, and even constipation which may be related to your stomach and digestion issues. This acupressure point is also good for getting rid of unwanted emotional stress such as anxiety and frustration, which are often primary contributors to digestive problems, especially chronic ones that keep coming back. 2. Conception Vessel 6, just two finger widths below the belly button. This acupressure point performs a similar healing function as the other Conception Vessel point above. It will bring healing energy to help relieve your abdominal pain, constipation, and digestive problems. 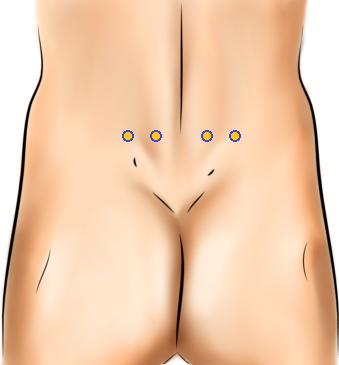 This pressure point also helps get rid of gas, and can even reduce lower back pain as well. 3. Bladder 23 and Bladder 47, on the back, at waist level. Don't use these pressure points if you suffer from a broken back of any type. Putting pressure on a damaged spine is a great way to make it even more damaged. Instead, if your back is injured, just gently rest your fingertips on these points instead. This method can still provide relief. These acupressure points will help reduce your indigestion. They also help promote soothing energy that will calm your abdominal pains and your stomach aches. 4. Stomach 36, on the front of the lower leg. Using this acupressure point will help soothe your stomach ache and promotes healthy digestion. It can also be used to treat stomach disorders of any type. By healing the digestive system, this point also promotes increased energy and a reduction of fatigue. 5. Pericardium 6, on the inside of the forearm, just below the wrist. This potent point on your arm will help relieve your stomach aches and indigestion. It's also a useful point for getting rid of nausea, and has been known to help reduce anxiety as well. This point is particularly great because it's one that you can put pressure on while in public while not drawing much attention to yourself, just like the rest of the acupressure points located on your hands and arms. 6. Spleen 4, on the inside side of the foot. 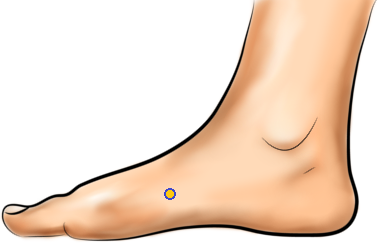 This pressure point on the side of your foot will help relieve your stomach aches and indigestion. It's also useful for sending healing energy that will relieve abdominal cramps, as well as diarrhea. Another use of this acupressure point is for reducing anxiety, especially in hypochondriacs.